What do you eat everyday? 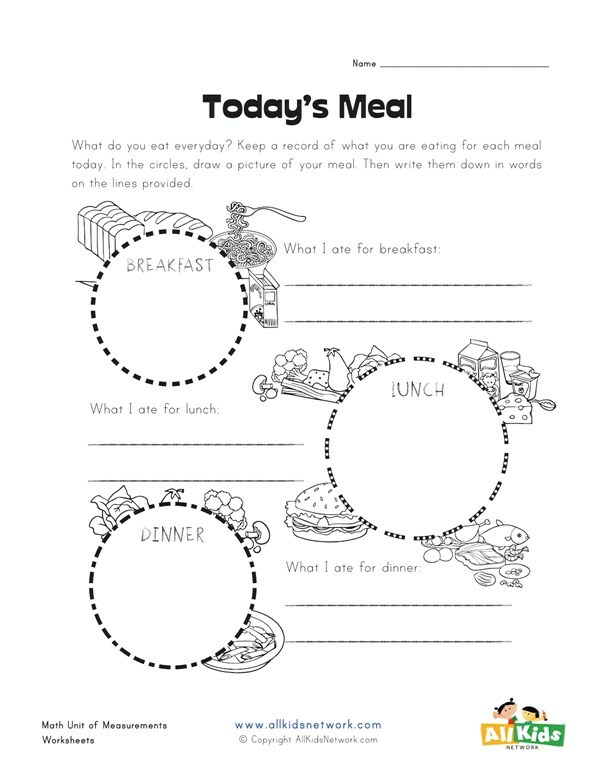 Keep a record of what you are eating for each meal today. 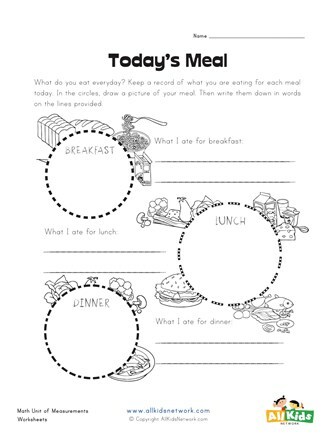 In the circles, draw a picture of your meal. Then write them down in words on the lines provided.